Protect your Family From Mold, Mildew and Poor Air Quality While Reducing Soil Gases and Energy Cost Year Round. 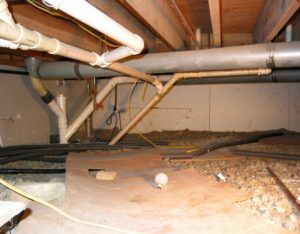 Crawl space encapsulation is so much more than simply keeping water out of your home — it can also improve your home’s energy efficiency and reduce the gas emissions from the soil underneath your home, keeping your house warmer and safer. Mold and mildew control begins with moisture control. 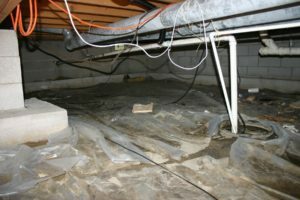 If the floor of your crawl space is made of dirt or stone, you could be letting literal gallons of water into your home, in the form of water vapor, every day. 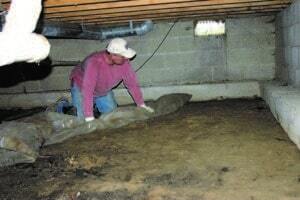 We recommend crawl space encapsulation to keep this from happening. Installing a zero-permeable liner in your crawl space keeps moisture out, meaning that mold, mildew, and mites never have a chance to thrive. 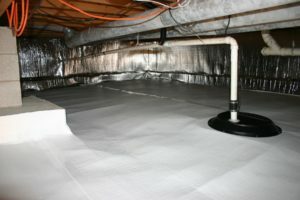 When you install crawl space encapsulation and prevent moisture from coming in, you create a clean, dry, sanitary environment, which improves the quality of the air in your home. 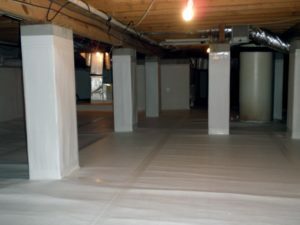 Additionally, our zero-permeable liner reduces the rate at which harmful soil gases, such as radon, enter your home. 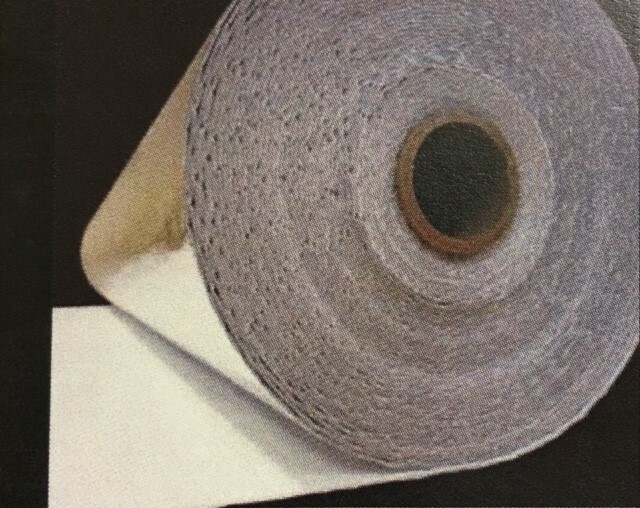 As a bonus feature, our zero-permeable liner is lined with reflective material, which keeps the heat in your home, reducing energy usage and your heating bill. 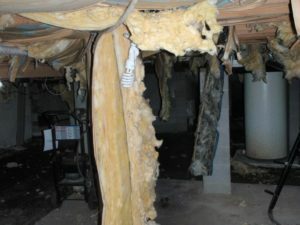 We remove debris and any insulation damaged by water, and we smooth the ground to establish an even, consistent grade. If desired, during this step we can install insulation and secure it to the outside walls, in addition to closing off all outside vents. This isn’t required, but it is strongly recommended for maximum energy efficiency. Our zero-permeable liner is installed on the outside walls to protect your crawl space from moisture and reflect heat back into the home. 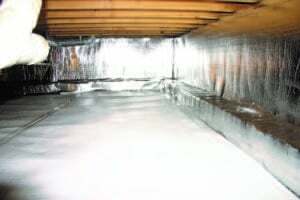 All liners are secured with fasteners and Radon Shield, providing an airtight seal. We install the floor liner, creating a watertight and airtight seal, effectively keeping out all moisture and soil gases. 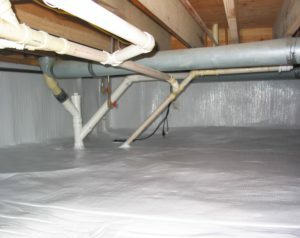 This liner also reduces energy costs and provides an antimicrobial barrier, eliminating mites, mold, and mildew. Finally, we seal lock around all piping and use a permanent tape seam, ensuring that your crawl space encapsulation is built to last. To get started with improving your home’s moisture protection, air quality, and energy efficiency, contact Foundation Solutions 360 today!